SINGAPORE – Agility was named as the best logistics company at the Lloyd’s List Asia Awards at a glittering ceremony in Singapore last week. The award judges included academics and industry leaders from across the Asia Pacific region and cited Agility’s broad range of logistics services spanning the supply chain, its independent status, and its environmental strategy as some of the deciding factors in selecting Agility as the winner. Beating off strong competition from four other finalists, the award was presented to Olaf Tauschke, Agility senior vice president, Asia Pacific Region by Caroline Lim, PSA International, Global head of Human Resources and Corporate Affairs. “We would like to thank the readers of Lloyd’s List who nominated Agility as a finalist and the judges for bestowing this honor on us. It is an award shared by all of our colleagues in the Asia Pacific region and around the world,” said Wolfgang Hollermann, Agility, CEO, Asia Pacific. 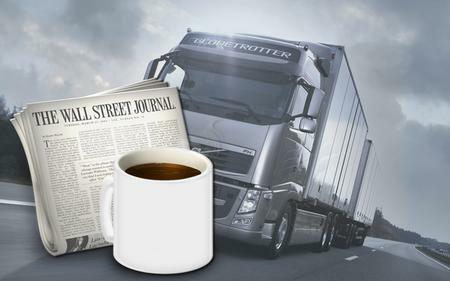 Agility was voted as a finalist by readers of the international shipping and logistics publication, the oldest continuously published newspaper in the world. “It confirms that Agility is recognized as one of the world’s leading logistics service providers,” said Tauschke at the awards ceremony. A publicly traded company, with over $6 billion in annual revenue, the company has three key business groups - Global Integrated Logistics (GIL), Defense & Government Services (DGS) and Investments. Agility GIL is the commercial division, providing integrated logistics solutions to customers spanning a range of industries from technology and retail to defense and government, chemical and oil and gas.